On this tour you will be able to taste the best of the Bluegrass - bourbon, beer and wine! You will visit a bourbon distillery, a winery and a brewery. So come and fill your bucket with the best. 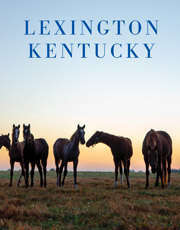 Pickup will be at the Lexington Visitors Center. Price includes all tours, tastings and flights along with a Kentucky Proud lunch. Water and snacks will be provided.